The Chattanooga Fire Department released video of some of their firefighters rescuing a dog who became trapped inside a wall at a home. CHATTANOOGA, Tenn. -- A persistent pup is doggone lucky Tennessee first responders answered a call for help. "Bella" decided to chase a squirrel in the attic but fell through an opening between two walls. Bella's owners could hear her in the wall and could not figure out a way to rescue her so they called the Chattanooga Fire Department. 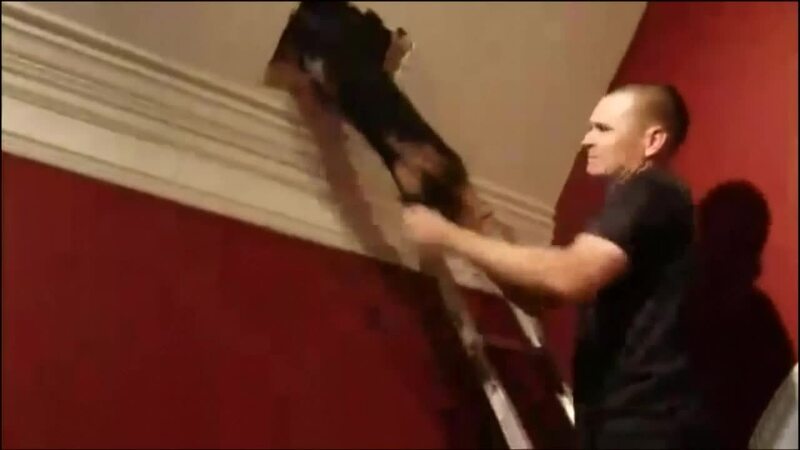 Firefighters cut a hole in the wall and video shows one pulling the dog out and a second firefighter catching Bella. The fire department said Bella was not injured.